Composed by Traditional Scottish Tune. Arranged by Christine Sullivan Robbins. Christian, Sacred, General Worship, Folk, Lent. Score. 5 pages. Published by Christine Sullivan Robbins (S0.17346). Also known as the hymn Will You Come and Follow Me. 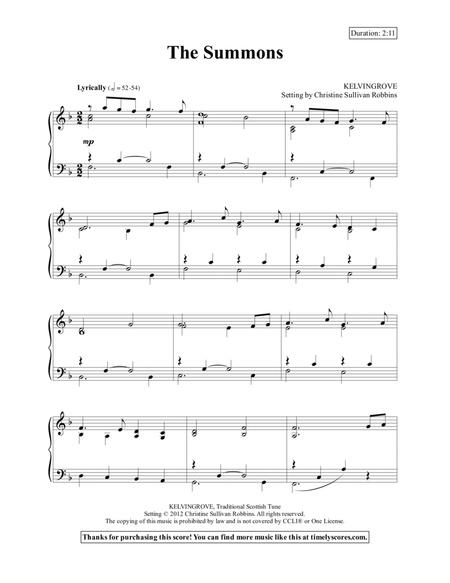 Inspire listeners with this contemplative piano arrangement of the Scottish hymn tune Kelvingrove. 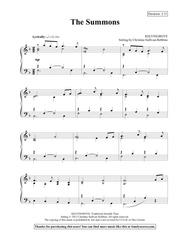 This customer favorite is easy to prepare - perfect for busy church pianists. I am just a casual pianist playing mostly hymns and simple holiday songs. This is a beautiful rendition of one of my very favorite hymns. It sounds elegant and more difficult to play than it really is. It will impress listeners!